Arlington, Virginia: MBDA Incorporated announces that Nancy DiCarlo has joined the company as Vice President, Strategic Business Development. Ms. DiCarlo has more than 30 years of leadership experience in the Department of Defense, in the areas of international affairs, strategic planning and acquisition program management. 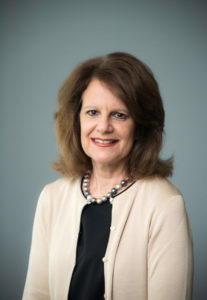 Ms. DiCarlo served ten years as a member of the Department of Defense Senior Executive Service, most recently as the Director, International Affairs in the United States MDA. In this capacity, she was responsible for all of the MDA’s international activities, relationships, plans and programs as well as the organization’s principal interlocutor with the Office of the Secretary of Defense for Policy and the U.S. Government Interagency. Ms. DiCarlo also served as the Chair, NATO Ballistic Missile Defense Committee and the NATO Missile Defense Project Group, leading 28 NATO nations in the oversight and management of NATO’s Ballistic Missile Defense Program. Ms. DiCarlo served as a member of the Department of Defense Acquisition Professional Community. MBDA Inc. is the American subsidiary of missile systems company MBDA.